As we mentioned in other news, the PvE Tournament will have different phases and challenges through every WoTLK raid so any kind of guild able to raid can take part (you can read a bit more about it here and here). Therefore, many players may want to participate with fresh characters to take advantage of the Attunement Challenge or there might be new ones who wish to take a quicker path in order to join/create a guild and partake in this adventure that is about to come. In any case, we have decided to ease the possibility for everyone to join our Legendary PvE Tournament, no matter if you are a current or a new player. This way, it becomes a great opportunity to get those characters ready to start in Naxxramas and progress their way through the rest of the raids altogether in the competition. We thought to offer it with enough time before the beginning of the PvE Tournament so players can organise their guilds, groups and recruitments while taking advantage of this holiday season. Thus this promotion will be active until the Tournament begins. In order to use it, you just need to access your Account Pannel on the website, then click on Instant 70 and you will be shown a Free boost choice. On the other hand, if you are a new player you will have to Apply for Free Instant 70. You will see a button in order to do so, just click on it and follow the given instructions. If any issue appears or any doubt arises, feel free to open an in-game ticket and our Game Masters will help you. – It is totally free and you do not need to be premium. – The free pack will contain the starting sets and a Cold Weather Flying book. – Once you have used it over one of your characters, you can’t use it anymore. – If you have donation points but you are eligible for the Free boost, the free boost shall have priority and no donation points will be deducted from your account. We really hope you enjoy it, thank you very much. We would like to give you a bit more of general information about the upcoming Legendary PvE Tournament. 1) We are working to make it as open and accessible as possible so that everyone can participate, from old players to new ones, or even those who are not yet playing in our server, we’ll give more details soon about this. 2) There will be several categories/races to participate in, this way a new fresh guild could compete with the most dedicated one for the top prizes. Players will be able to choose the path of their participation, there will be separated branches that will lead to the final results, based on each group’s decisions through each stage. In past tournaments, we presented 2 kinds of challenges; the Speed run challenge and the Achievement run challenge (special feats proposed by us). The group with more points in total was the winner. However, for this new version of the tournament, we have added more types of runs and phases, so everyone can join and compete while deciding which challenges suit them best for each stage/phase (no matter their current progression through the Tiers). Some will be fun, some will be hard, some will be chaotic, some will be based on random; every group chooses their path. To quickly mention few, we will present the addition of Attunement challenges, Dare challenges, Creative challenges, “Hate the GM, not the Game” challenge…etc. We want to offer everyone the possibility to participate, compete and have a good time thanks to this more than epic tournament and of course, earn some juicy rewards while savoring again the WoTLK raids. 3) It is a big tournament, the dates are yet to be set, but it will require several IDs. 4) Even though the tournament specifics are mostly set; if anyone wishes to send us some suggestions they will be welcome. Feel free to write us an e-mail to dalaran.community@gmail.com. Any idea you think that may be fun, challenging or impressive is always good considering. 5) Everything will be published and explained properly through further news. Once we’ve announced every relevant detail, we will post a thread on the forums which will gather all the information and can be used as the main source of reference. This is a call to arms, we are not looking for Heroes, we are seeking Legends! Tell your friends and gather your team! We would like to mention that we have many great news to announce. However, we are going to start first by talking about the Legendary PVE Tournament we have been preparing for some time. As you probably know, we have been hosting the unprecedented Legends of Dalaran PvE tournament for some years, which consisted in several contests (speed run / special and unique achievement run – feats we propose, nothing custom) within the available Top Tier at that moment. This time, this remarkable PvE Tournament will be for everyone, it will include different and new contests/challenges for every single raid tier, from Naxxramas to Ruby Sanctum. Therefore, no matter if you just reached level 80 and started doing Naxxramas, if you are raiding the Heroic modes of the top raids or even if you are thinking to start anew the WoTLK progression, you may participate and earn some gratifying rewards, dashing through a challenging, progressive and pre-nerf content with this competition. We are currently finishing its shape and form – everything will be explained through further news, such as how to participate, details, dates/schedule and rewards. We are looking forward to hosting this Legendary PvE Tournament and hope that every one of you enjoys it as much as we will. “Do you hear the screams from the Scourge under the Ziggurat? Do you think yourself strong enough to not bow down before The God of Death? Will you rise among the Champions and make your faction proud? Are you feeling the shivers when you approach The Frozen Throne? Will you dare to enter into the realm of shadows and face the Twilight? Icecrown Citadel ID sharing system. With this announcement we want to clarify any possible doubts that may arise with the new ID sharing system that will be present for the Icecrown Citadel raid. The IDs will be the same for 10 Normal and 10 Heroic modes, this will also happen for 25 Normal and 25 Heroic. So, for example, if you kill a boss in 10 Normal it will not be possible to kill that boss on its Heroic version the same week. As you probably know, in order to access The Lich King encounter you will have to defeat 3 bosses first during the same lockout: Professor Putricide, Blood-Queen Lana’thel and Sindragosa. The weekly quests inside the raid will also be shared between 10 Normal and 10 Heroic, the same will happen for 25 Normal and 25 Heroic. Remember that even if the raid is switched to Heroic mode by the leader, every player will still need to have the proper attunement in order to enter, as explained in our last new. – Icecrown Citadel 10 Normal and Icecrown Citadel 10 Heroic will have the same ID. If you kill a boss in one mode it will not be possible to kill him in the other. The same will happen for 25 Normal and 25 Heroic. – If you switch between Normal and Heroic difficulties, all the raid members will need the proper attunement in order to enter into the raid. – In order to have the possibility to engage The Lich King Heroic: Professor Putricide, Blood-Queen Lana’thel and Sindragosa have to be defeated also on their Heroic version. – You will have 25 attempts each week to defeat all the ICC bosses in Heroic mode. Each wipe on Professor Putricide, Blood-Queen Lana’thel, Sindragosa and The Lich King shall remove one of the available attempts. – If you reach 0 attempts in Heroic: Professor Putricide, Blood-Queen Lana’thel, Sindragosa and The Lich King will stop being available this week in this difficulty. – If you reach 0 attempts in Heroic and switch to Normal mode, you will still have the possibility to kill those bosses who were not killed already. 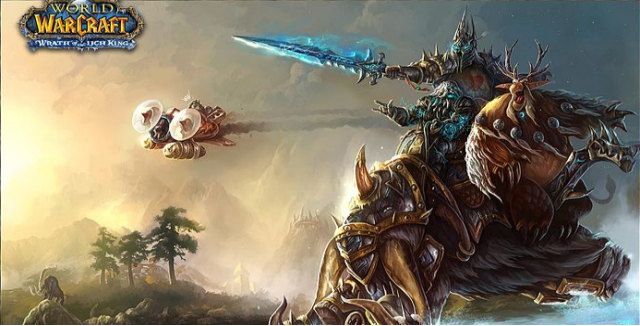 A) Your raid kills Professor Putricide in Normal mode and the rest of the bosses in Heroic mode: The Lich King Heroic will not be possible to engage, you will have to fight him in Normal mode. It will be the same outcome if just one of the required bosses is killed in Normal. B) Your raid kills all the bosses in Heroic mode, but reaches 0 attempts during the Lich King Heroic encounter: you will not be able to continue with The Lich King Heroic. However, you will still have the possibility to defeat him if you switch to Normal. C) Your raid kills Professor Putricide in Normal, Blood-Queen Lana’thel in Heroic and reaches 0 attempts while fighting Sindragosa in Heroic. You can switch to Normal mode and defeat Sindragosa, and then continue with The Lich King. But, Professor Putricide and Blood-Queen Lana’thel will not be available since those bosses were already killed, not matter in which mode. This means: those bosses killed in Heroic mode will not be spawned in Normal mode, and vice-versa. The Trial of the Crusader will be opened in few minutes, we really hope everyone enjoys it. We have tried to polish the scripting with the help of every Beta tester. However, there might appear some minor glitches. If anyone finds any issue regarding the scripting, please write us an e-mail to dalaran.community@gmail.comand let us know, so we can hotfix it as quick as we can. The proper vendors shall be spawned during this night. Remember the raid is on its pre-nerf status and the bosses are tuned in order to make it changeling to the players. Those pre-nerf and tuned were tested already by raids with Ulduar equipment, so try to not report those things, please. Dates and further details about the new content. We would like to let the community know certain dates and details about how the next content is going to be released. First of all, as you already are aware, the Trial of the Crusader raid (every difficulty on their pre-nerf status) is going to be opened this Saturday November 7th, this will happen at 20:00 Server Time. Each player will need to have completed Ulduar on normal mode in order to be qualified to enter ToC, which means you need to have achieved The Secret of Ulduar (10 players) if you want to enter into ToC/ToGC 10 man and The Secret of Ulduar (25 players) for ToC/ToGC 25 man. We will not mention Onyxia’s Lair, as we have to perform a previous Beta Test before it is released, but you shall be updated regarding this matter once the realm first is achieved. However, as mentioned before, Onyxia’s Lair will be available around 2 months after ToC’s release. Now, as we would like to make every release enjoyable without breaking the progression feeling, we are not going to open the Trial of the Champion dungeon this Saturday, but the November 20th. Koralon The Flame Watcher will be available with this update as well. Also because of this, the Northrend’s Heroic dungeon bosses will not drop any Emblem of Triumph yet, we will announce when they are going to after see how the guilds are progressing through the new content. Remember that in order to be entitled to loot these emblems the Keepers of Ulduar personal achievement will also be required. We shall explain everything before update Algalon with such feature. Of course, every Emblem of Triumph or item which is not supposed to be obtainable right now but it was due our mistake shall be wiped this Saturday. The arena season ends this Saturday as well, we are going to announce the beginning of the next one and the rewards through another new. Before the next arena season starts, we are going to check every wintrading report in order to exclude them from the rewards and the season itself, so we can perform the proper punishment. Due the massive amount of suggestions that we have received through tickets and e-mails about reconsidering the entrance requirement for ToC, we have decided to accept them. So, in order to access ToC/ToGC 10, each player shall need to have achieved The Secret of Ulduar (10 players) and The Secrets of Ulduar (25 players) for ToC/ToGC 25. However, as we want to have a healthy and active patch, we will be open to suggestions during the next content’s progression. As always, we are really thankful to every player who respectfully presents his opinion thinking the best way to improve the server. As you probably have already noticed, almost every day we are performing a maintenance in order to deploy several fixes, exploit corrections and other preparations before the incoming ToC release. We are trying to perform them during the off-peak times with the minimal shutdown time as we can. We are also announcing them through our social media (Facebook and Twitter) and within 15-30 minutes in advance in the live realm, so everyone can stay tuned about what is going on. We are sorry for the inconveniences it may cause.